What a lovely gesture, thank you! 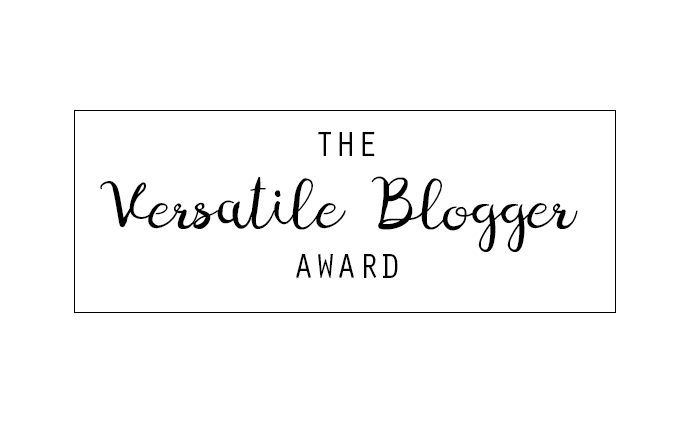 The Versatile Blogger Award is a way for bloggers to show appreciation for blogs they really enjoy - those who perhaps cover a range of topics, really put love into their writing and are just an overall inspiration. 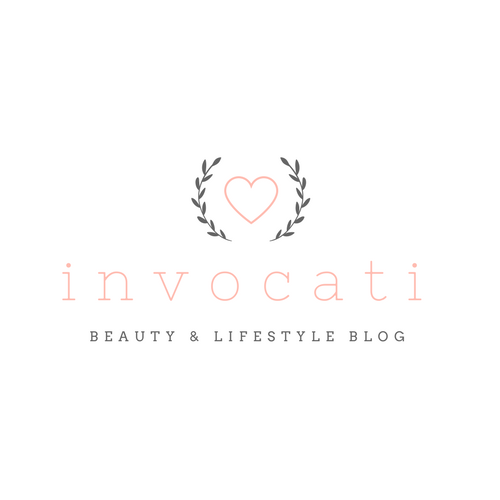 I'm still fairly new to blogging, in terms of putting more time and effort into the posts I write and using social media to gather a following. This award means a lot to me and I can't thank Claire enough for taking the time to nominate me! As part of the award, I am to tell Claire and everyone else who comes across this post 7 facts about myself. So here goes! 1. I am terrified of some really strange things - I have the more 'usual' fears of spiders, wasps and the like, but I also have an irrational fear of mushrooms (I hate how they feel and I hate that black frilly part under the cup!! ), wind turbines and, even more strangely, the word 'cluster'. I actually can't say it out loud. 2. Dogs are my favourite animal in the whole entire world. Everyone who knows me knows that if I'm upset, the best thing to do is send me pictures or videos of dogs! My boyfriend does this especially well when he knows I'm mad at him! 3. I've managed to go 21 years of my life without breaking any bones! 4. I live with 2 of my closest friends from college, and I love it because we're all as lazy and antisocial as each other. 5. I have a younger sister and older brother. I get on with both of them so much more since I moved out, but I definitely wish I saw them more often! 6. I work in an escape room, which is kind of like The Crystal Maze, and my job basically involves locking people in rooms and watching them try to escape! 7. So far in my life, my hair has been blonde, pink, purple, silver, and various versions of dip-dyed. Next, it's my turn to nominate 15 bloggers for this award too. 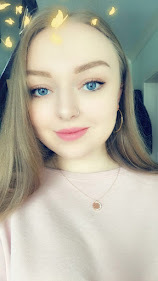 These bloggers not only run wonderful blogs and put lots of effort in, but they are also lovely people who deserve all the attention they get. Congratulations, loves! It was definitely hard to pick and I did want a range of bloggers with different followings - I know myself how hard it seems to get recognised when you don't have a massive amount of followers. Regardless, everyone I mentioned above puts lots of love into their blog and it really shows! If you want to read more about the VBA you can do here, it explains what you need to do if you're nominated and just a bit about the award!